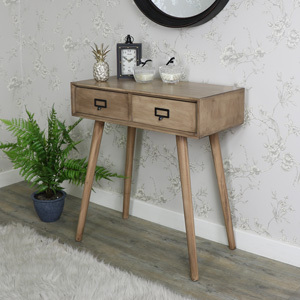 Our Brixham Range of furniture is perfect for adding a retro look to your home. This pair of bedside chests are a must have for your bedroom decor. 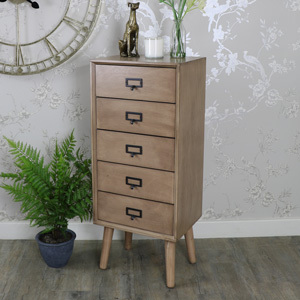 With 3 drawers that are great for bedside storage add that retro, loft living giving an urban industrial feel. Ideal for sitting either side of the bed with drawer storage for books, accessories and knick-knacks. 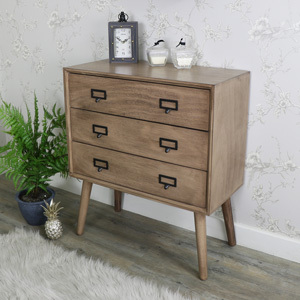 These little chests are not limited to the bedroom, they would also make excellent lamp tables for the living room or a great storage solution for an office or study. 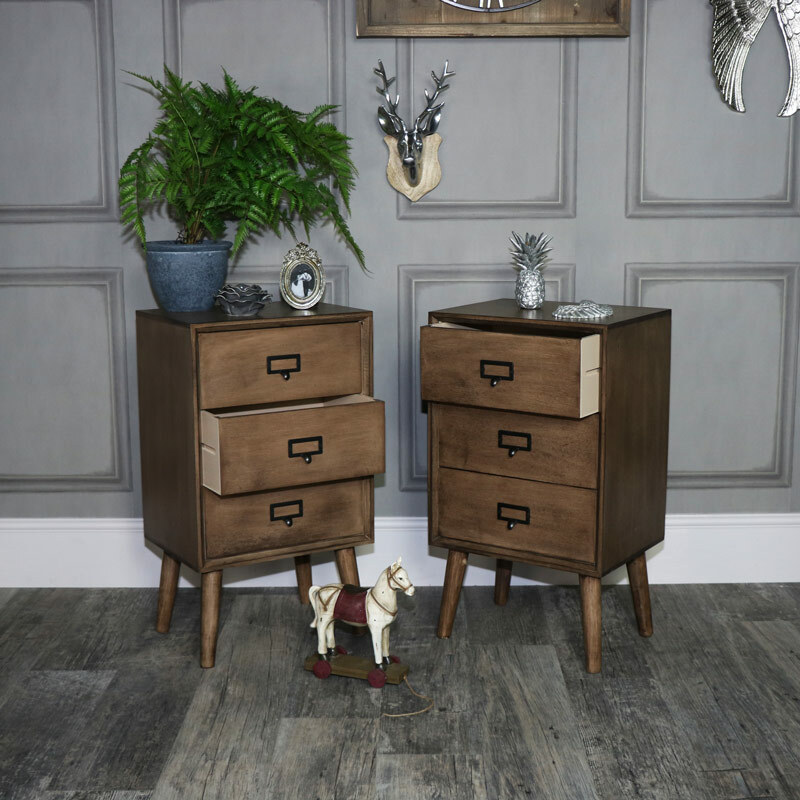 Our Brixham Range of furniture is perfect for adding a retro look to your home. This pair of bedside chests are a must have for your bedroom decor. 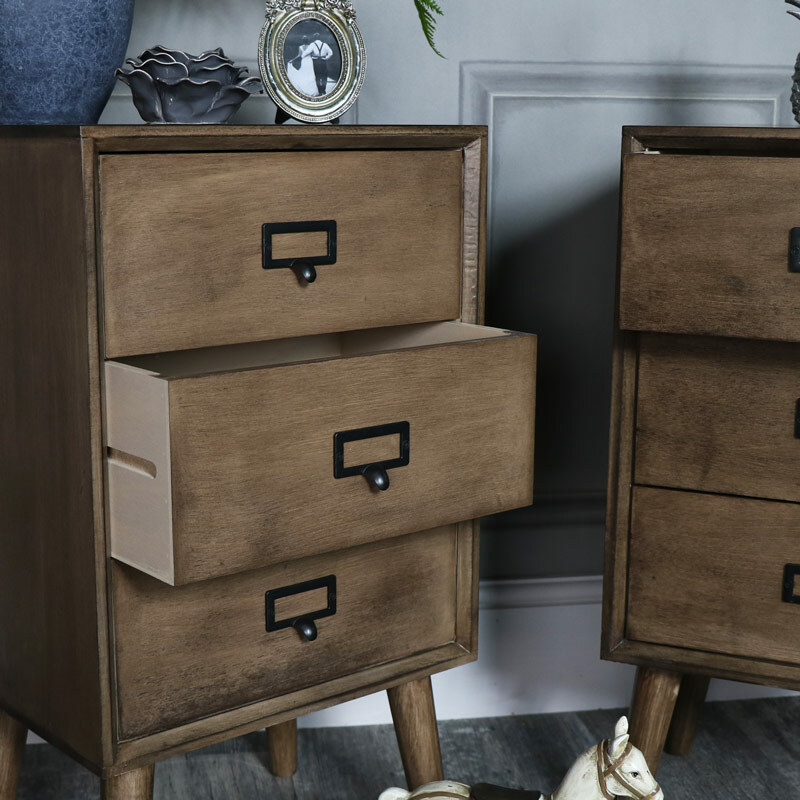 With 3 drawers that are great for bedside storage add that retro, loft living giving an urban industrial feel. Ideal for sitting either side of the bed with drawer storage for books, accessories and knick-knacks. 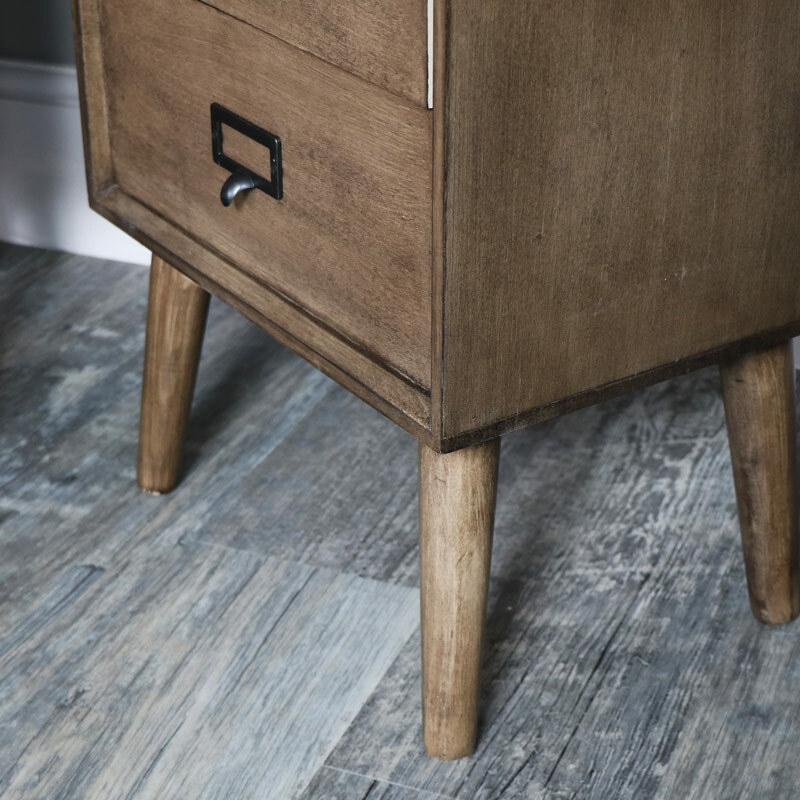 These little chests are not limited to the bedroom, they would also make excellent lamp tables for the living room or a great storage solution for an office or study. 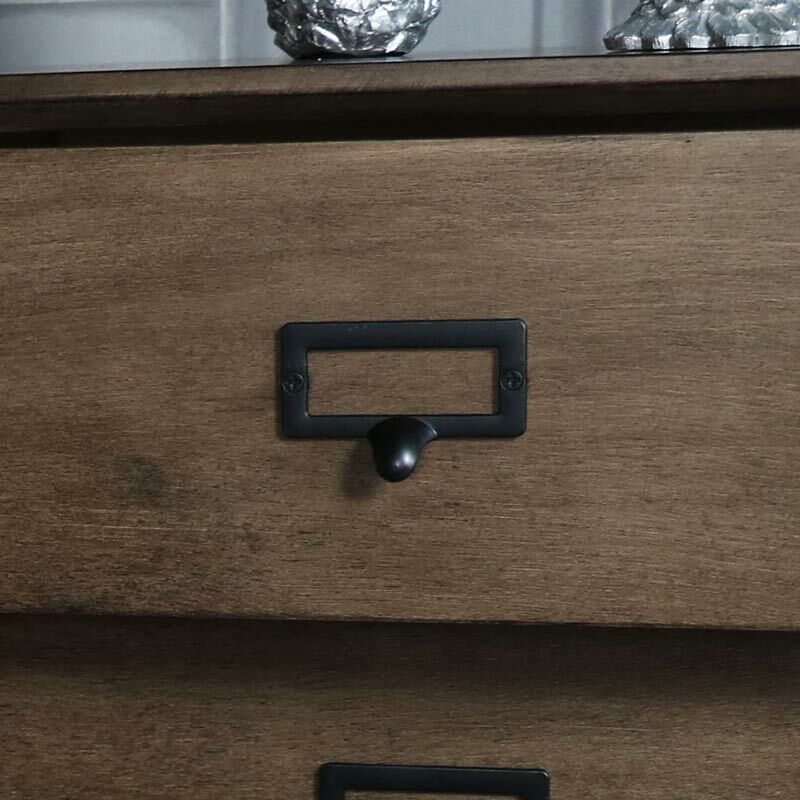 Made from wood in a brown painted finish, 3 drawers for storage with long legs for a bit of height. Each drawer is completed metal handles. With more items available in our Brixham Range, you can easily create a bedroom or living space with that cool retro vibe. Also great for boys and girls bedrooms.